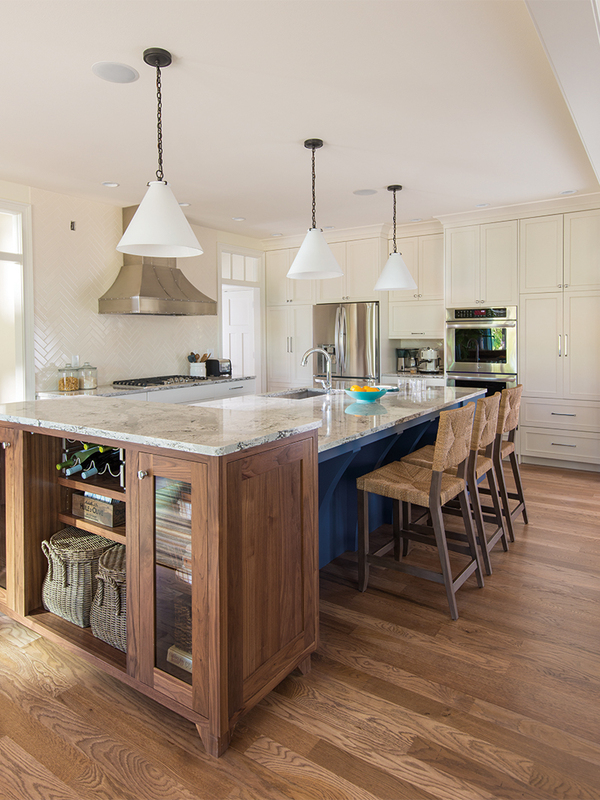 Plain & Fancy Custom Cabinetry is proud to be a main contributor to the Better Homes and Gardens 2015 Innovation Home, which showcases the latest in innovative products, smart design, energy efficiency and connected technology. How did Plain & Fancy get involved? We were contacted by Better Homes and Gardens in early August of 2014 regarding their 2015 Innovation Home project. We were very excited about the opportunity and could not have been happier to be a contributor of the "Better Homes and Gardens Innovation Home." Here we are a little more than a year later and this project has finally come to completion and it is ready to be revealed for all to see. This innovative home showcases the latest in creative products, smart design, energy efficiency and connected technology with an ultimate goal of providing consumers with ideas that can be adopted to make lives easier and more connected. The 3,300 sq. ft, 2 story home is located in Mequon, Wisconsin and sits on just over 3/4 of an acre. It includes 4 bedrooms, 3 bathrooms, a 3 stall garage, a large kitchen, plenty of room for entertaining and family time as well as an outdoor entertaining area. 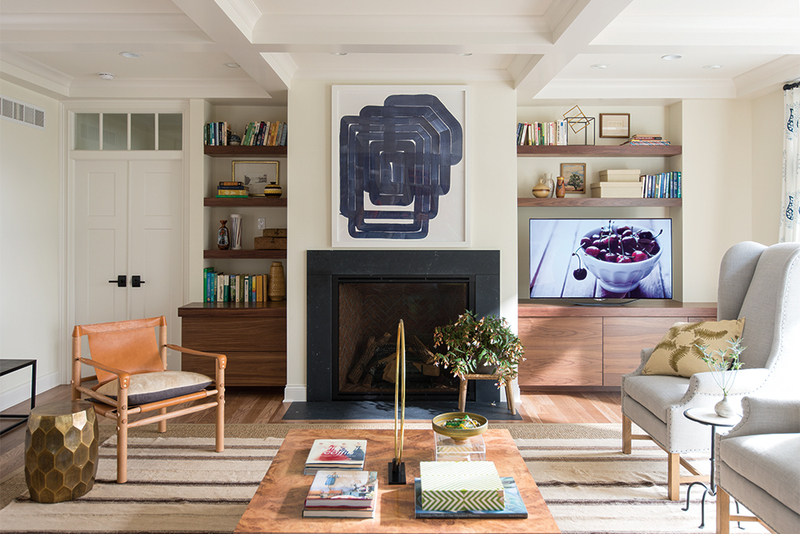 In this modern, designed family room, Plain & Fancy contributed the wall-to-wall floating walnut shelves. 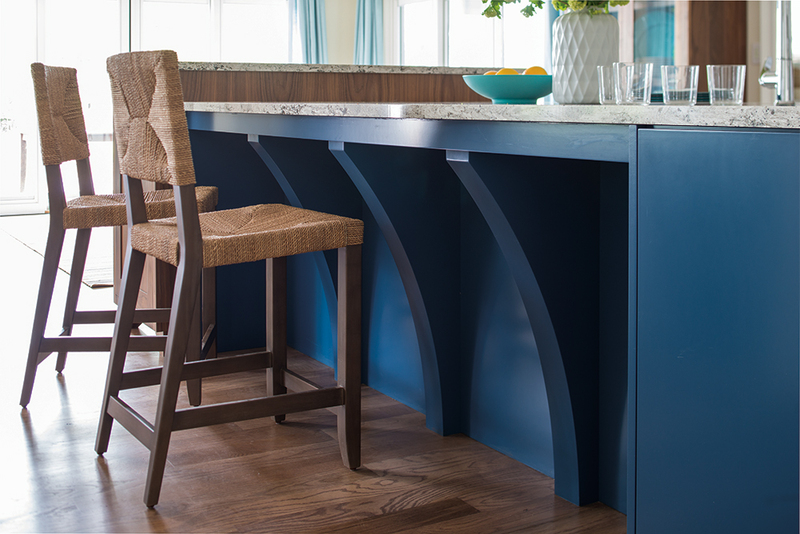 These offer the same efficiency as traditional built-in cabinets but have superior style. 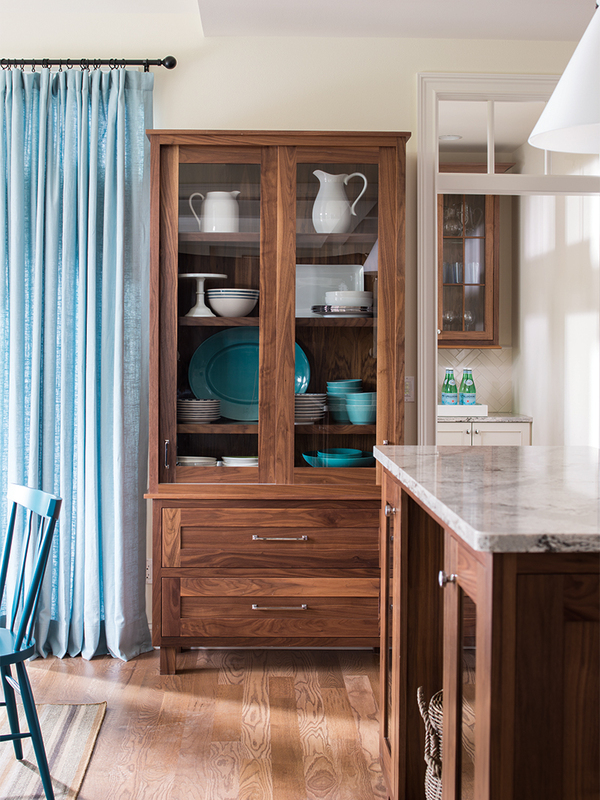 We are proud to be the provider of all the cabinetry included in the kitchen, including a raised walnut buffet built on to the end of a custom color blue island and a freestanding Natural Walnut dish hutch with glass front doors. 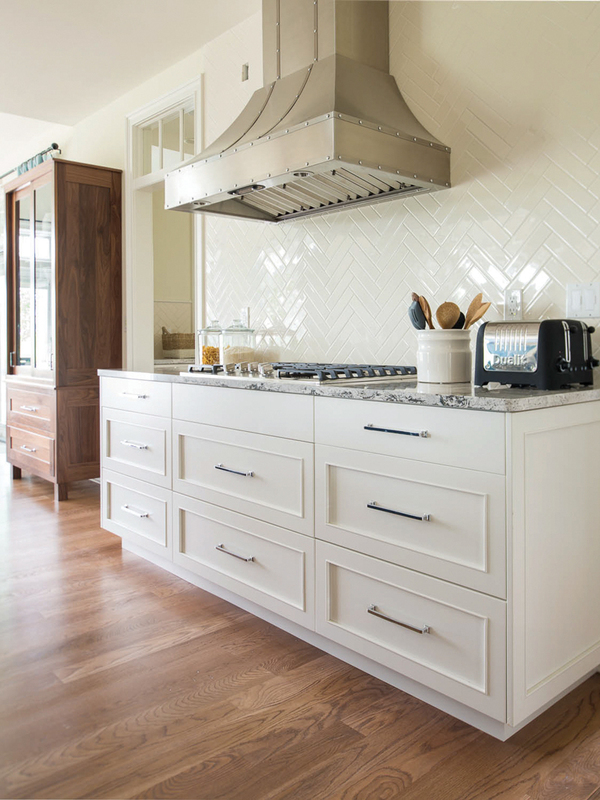 One of the most popular trends in cabinetry, that Plain & Fancy feels is here to stay, is that of cabinet lighting. When our customers ask for lighting, we are more than happy to oblige. When we include lighting systems, we integrate them into our cabinets at our factory. 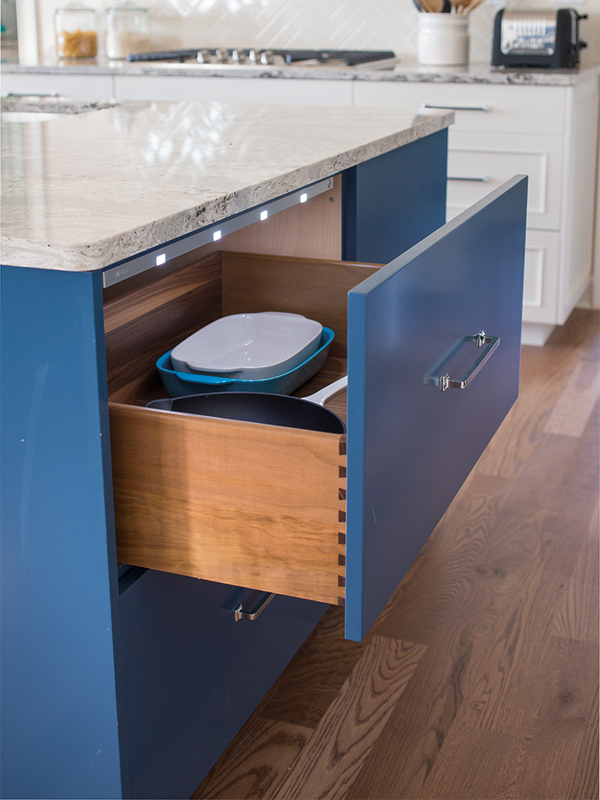 Drawer lighting systems, like the one shown here, are great for illuminating objects that are hard to see. Upgraded Walnut drawer boxes are also included in this kitchen and are a nice look as well. 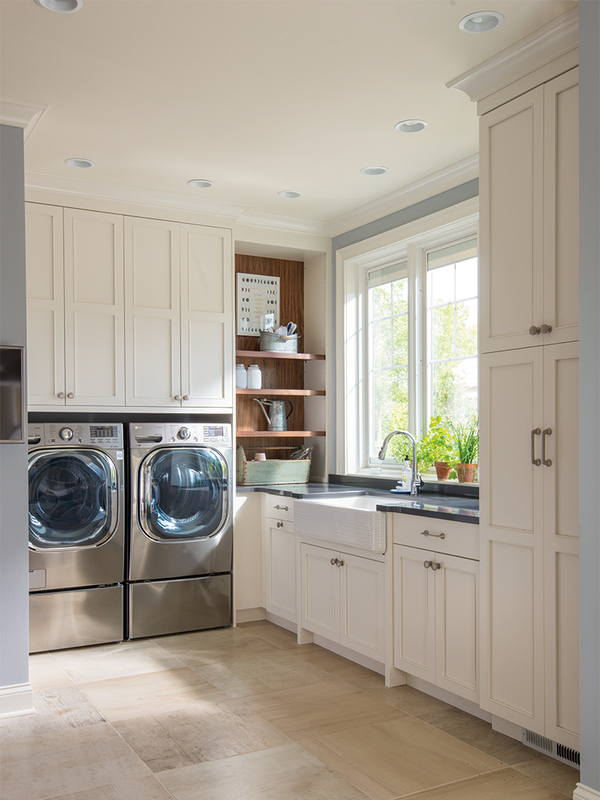 Plain & Fancy custom cabinetry offers ample storage in this laundry room. Full overlay Austere doors finished in white brighten the room while also carrying more of a transitional look. 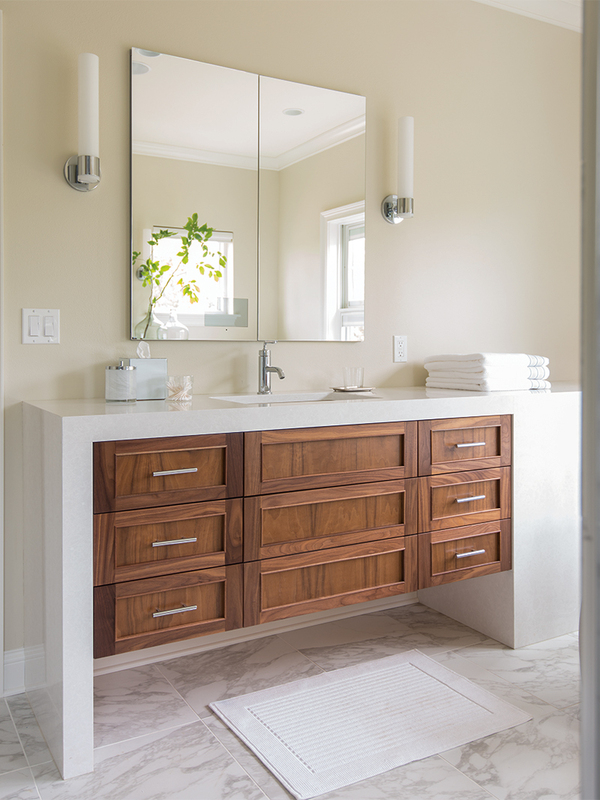 This full overlay Plain & Fancy natural Walnut floating vanity, with Austere door style, finds a home surrounded by a Cambria easy-care quartz-surfacing. This full overlay Plain & Fancy Maple vanity, with Transitional door style, helps to provide much needed storage. 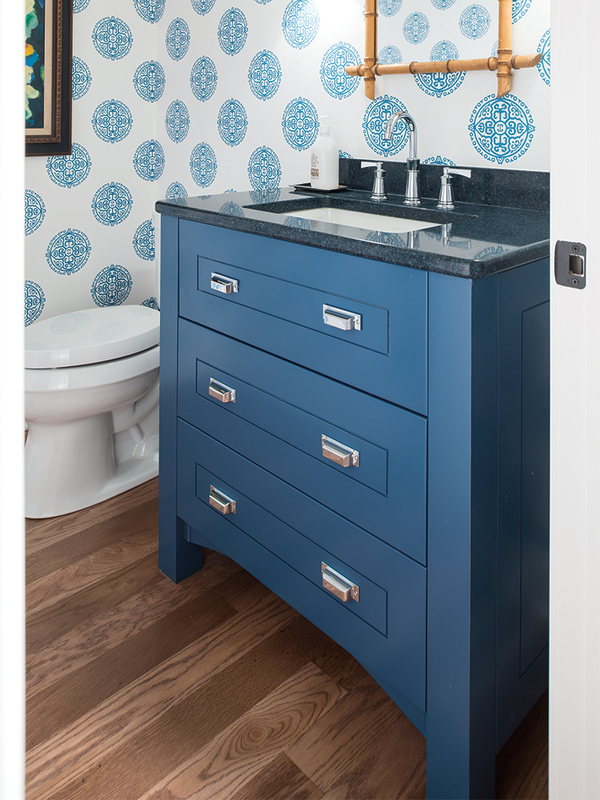 A custom blue finish is a great choice to give this bathroom a calm, soothing look and feel.